Winter auto maintenance repair means different things to different people. Many think that getting ready for the winter simply means snow tires and new wiper blades– but there’s more. Winter auto prep is also a good time to check your coolant’s antifreeze. Coolant is the fluid in your radiator while antifreeze is the liquid being added to the radiator to help prevent the coolant from freezing. While some antifreeze comes premixed with water, allowing you to simply add more as needed– these types of antifreeze can be more expensive. Others are concentrated and need to be mixed with water to achieve the proper level of cooling for an engine but give you the ability to customize the ratio of water and antifreeze to your climate. So how much water to antifreeze is the correct ratio? Read on to find out. You may be wondering why both water and antifreeze are needed. While water is the best fluid for cooling, it can cause corrosion. Antifreeze has a lower freezing point and a higher boiling point than water so it helps protect your engine in extreme weather conditions. However, it is not very good at drawing heat away from the engine– as antifreeze was actually produced as an aid to water. 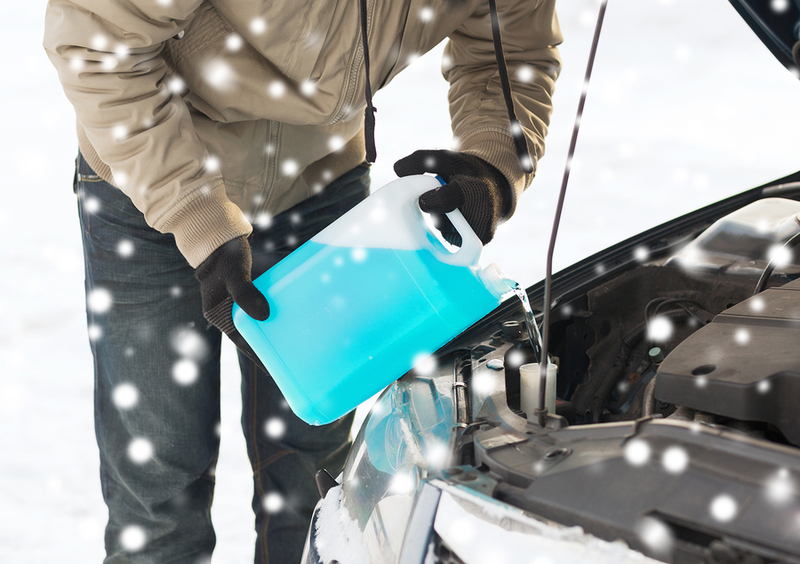 Buying an antifreeze that requires you to mix it with water can be a little more involved. However, it gives you more flexibility when it comes to mixture. Generally speaking, a 50/50 mixture of water and antifreeze is a good place to start. However, when speaking in terms of climate, you may want to take temperature into consideration. For example, 50/50 may work best in more moderate climates where the temperature gets below 32 only on occasion. However, in climates where temperatures drop below 32�F for long periods of time, mixtures closer to 70% antifreeze and 30% water are better suited to keep coolant from freezing. Now that you’ve decided what percentage mixture you’d like, how do you go about putting the parts together? The best way is to keep a spare container around; even a clean one-gallon milk jug can come in handy when trying to mix antifreeze and water. Pour the appropriate amount of antifreeze into the milk jug and then fill the original container back up with water. If you’re replacing your coolant, you’ll most likely need more than one bottle– so pour the excess into the milk jug as you mix. Then once you’re done, pour the excess antifreeze back into the proper container. 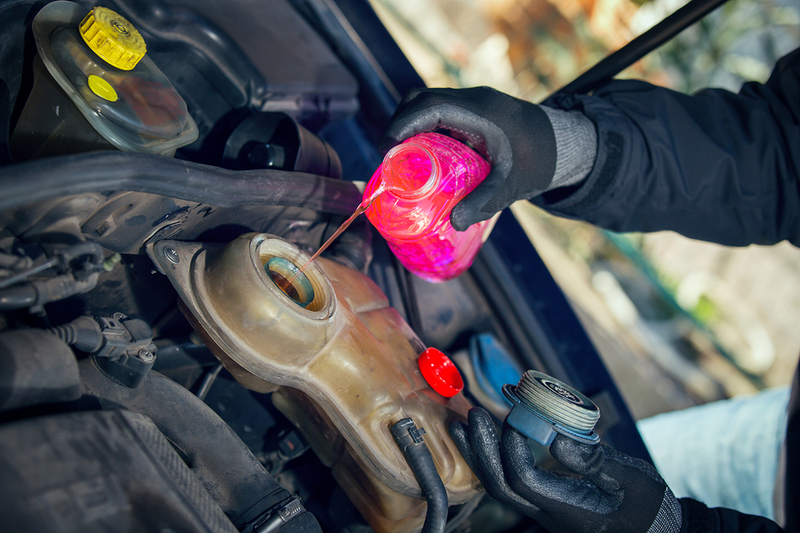 Understanding what makes your coolant work as well as understanding the needs of your car will help you decide on the right mixture of water and antifreeze. A radiator flush is a great way to winterize your cars coolant. For more information on our radiator flush service and other auto maintenance repair services, check out Mr. Clean Car Wash.